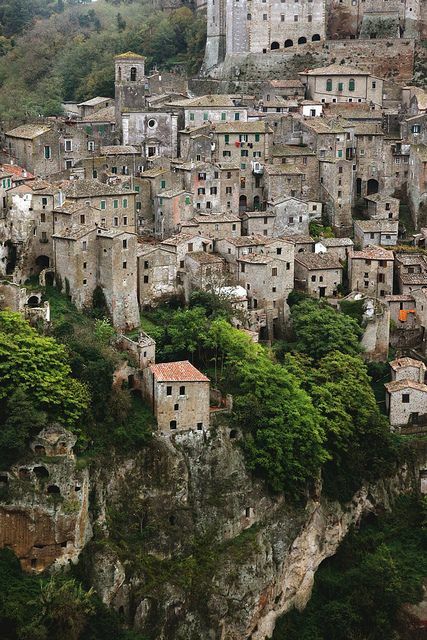 photography of the worlds: Sorano, Tuscany, ITALY. Sorano is a town and comune in the province of Grosseto, southern Tuscany (Italy).It as an ancient medieval hill town hanging from a tuff stone over the Lente River.Sorano was probably inhabited by Villanovan culture, but the first historical mentions are relative to the 3rd century BC, when it was an Etruscan city under the influence of the more populous nearbySovana. It became part of the Kingdom of Italy in 1860.